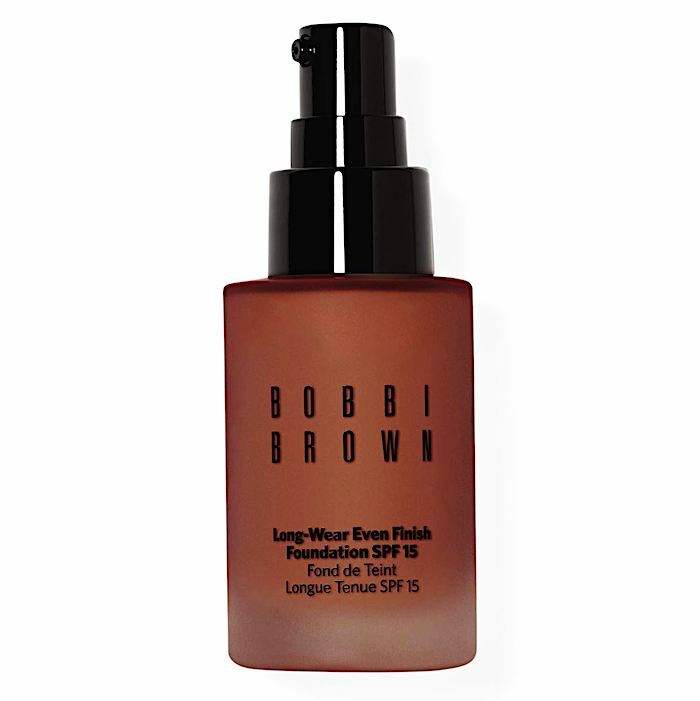 Bobbi Brown Long-Wear Even Finish Foundation SPF 15 is a natural-looking and long-wearing foundation with SPF. Comfortable and hydrating, this medium to full coverage oil-free formula claims to never looks cakey or masky. Glycerine and Shea butter keep skin feeling moisturised while a gel base creates a lightweight finish that stays colour-true. It promises to last for up to 12 hours even in the most humid conditions. It also promises to protect your skin from future damage thanks to broad spectrum SPF 15 with antioxidant vitamins C and E.
First up, a huge thumbs up to the packaging and a big yes to the pump dispenser. I’m so glad it’s not a pipette. The foundation comes in a semi opaque glass bottle, which means it’s easy to see how much you have used, and there is no chance of you running out of product before you realise it. The pump dispenser also means it’s easy to get the product out and you can happily get on with applying your makeup with ease. I found I used about two pumps of foundation to get the coverage I needed for my whole face. It does have a bit of a strong lavender fragrance, so if you are allergic to fragranced products this is definitely something to flag up, but I noticed that it subsided soon after application. In true Bobbi Brown fashion the foundation is available in a wonderful array of shades and I picked it up in the shade Warm Almond 6.5, but in hindsight I wish I had chosen a slightly darker shade instead as it was a little too light for me. However I found that on combining it with a dusting of my usual powder, it all blended beautifully together with my skin tone. I also love that it has more of a yellow undertone than a lot of other foundations out there. The coverage is light to medium but it’s definitely buildable and the finish is more on the matte side, with good staying power. I wouldn’t say it would last for 12 hours but I find that it wears well for a full day of work, which is about nine hours if you include travel time. What I also loved about it was that nine hours on, it still looked the same, there was no oxidation and coverage wise it didn’t change. I did wear it with a primer on my cheek area and touched up with some translucent powder to minimise my usual midday shine but other than that it stayed put. Overall I found this product wears comfortably and has a lightweight feel to it but the texture of the foundation is slightly on the thicker side, so you need to work quickly to blend it as it sets quite quickly – but once it’s on it isn’t heavy or cakey on the skin, and it had a nice natural finish. I have really enjoyed using it and it has become a firm favourite. Bobbi Brown Long-Wear Even Finish Foundation SPF 15 priced at £34.00.